When your system is connected to peripheral devices such as webcam, wireless mouse and keyboard, follow the steps below on how to connect the PC to other peripheral devices. Check if the PC is compatible with the wireless mouse. Unpack the mouse from its box. Insert batteries into its slot. Place the mouse in a location where it is easy to move. Find the On button on the mouse. Switch it on. Press the Connect button on Mouse. The plug and play mouse does not require any driver or software installation. If the cursor moves on the system screen, the mouse is connected. Insert receiver into one of the USB ports in the system. Check if pop-up window displays. Find the ON/OFF button on the keyboard. Insert batteries into the keyboard, if any. Turn on the keyboard and press the Connect button on top of it. If you are using a Bluetooth keyboard for Windows 10, open the start menu. Select the Settings icon. Click Devices-> Bluetooth and other devices. Turn on the keyboard.View the list of available Bluetooth devices. Select the keyboard name and click Pair to establish a connection between the two devices. Check if the wireless keyboard is compatible with the computer. Insert the receiver into a USB port on your system. Drag the yellow battery tab to remove it. Locate the ON/OFF button on the keyboard. Turn on the button to start the connection. Ensure that the switch is in the on state. The keyboard is ready to use. Connect a webcam to the system using a USB port. Certain webcams contain a USB cable that is attached to the webcam. Connect one end of the USB cable to the USB port on the system. If you have a Windows system, it automatically detects the new hardware connected to a USB port. Wait till a message displays, Your device is ready to use. Install the driver to operate the camera. Insert the disc into the system. Follow the on-screen instructions to complete the installation process. Place the webcam. If it contains a monitor clip, attach it to the screen top. After completing the set up, select the Start button and locate the webcam program. Double-click on it to begin the program. Select the Camera icon. Wait till the camera app screens video input from your webcam in full-screen mode. Select the Photo option to take a snap or Video to record footage. Select the Video again to stop recording. The app saves the pictures and video in the Pictures folder. Use the free online webcam tests available on the web, if required. If you are a Windows 10 user, select the Cortana search box in the taskbar. Type Camera into the search box. It seeks the permission to access the webcam. Select the Finder icon on the Dock bar. Select Applications under the Finder icon to display the list of options. Select Photo Booth in the Applications folder. Drag the mouse to the app and click Camera. Plug-in one end of the USB cable to the port on the system’s rear. Install the software. If the webcam is not detected, open the webcam program from the control panel. Mount the cam and adjust the settings. Test the webcam’s sound to check if it works. There are various methods to connect the printer to a system. Check if the printer supports Wired or wireless connection. If it supports the wired connection, plug in one end of the Ethernet cable to the printer’s rear and the other to the router’s Ethernet port. Examine if the green light remains stable on the router and the orange activity light blinks. This indicates that the connection is established. If the printer supports the wireless connection, type the network name and password. Use any one of the connection types that printer supports. Wait a second for the printer to establish the connection. If the connection is not established, install the driver for the printer. Choose the mode of connection as Wired or Wireless based on the printer specifications. Follow the instructions to complete the process. Based on the printer model, the methods of connecting the printer to the system varies. Choose the best method to establish the connection. Open the box and take the scanner out of it. The box contains a power cable, USB cable, and a software installation CD. Ensure that the cables are free from damage. Connect the scanner’s power cord to the wall outlet and to the system. Connect one end of the USB cable to the scanner port and the other end to the system’s USB port. Turn on the printer by pressing the power button. Check if the scanner name displays on the list of available devices. If not, install the driver on the system. Follow the on-screen instructions to complete the installation process. Make sure that the desktop or laptop supports the Bluetooth headset. Enable the pairing mode in the your headset. Select Start on your system. Select Devices and Printers-> Add a Device. Wait till the device name displays. Click the headset name and press Next. Type the passkey and select Next. Close the window, right-click on the headset icon and select Connect to pair your system and headset. Press the speaker’s Power button to turn it on. Click the Start button on Windows system. Select the Settings option. Click Devices-> Bluetooth & other devices on the left side of the tab. Enable the Bluetooth option. Press the Pair button on the speaker. Select the Add Bluetooth device option. Select the Bluetooth option. Choose the device name from the list. Click Pair to connect the Bluetooth speaker and the system. Use the HDMI cable; as it is long enough to connect the system and the home theatre. Check if there is a damage in the cable. Locate the port behind the CPU for desktops. Plug in one end of the cable to the television’s rear and the other end to the system’s HDMI port. Turn on the system and the television. The television displays as the system’s desktop you can use it to watch movies and videos. 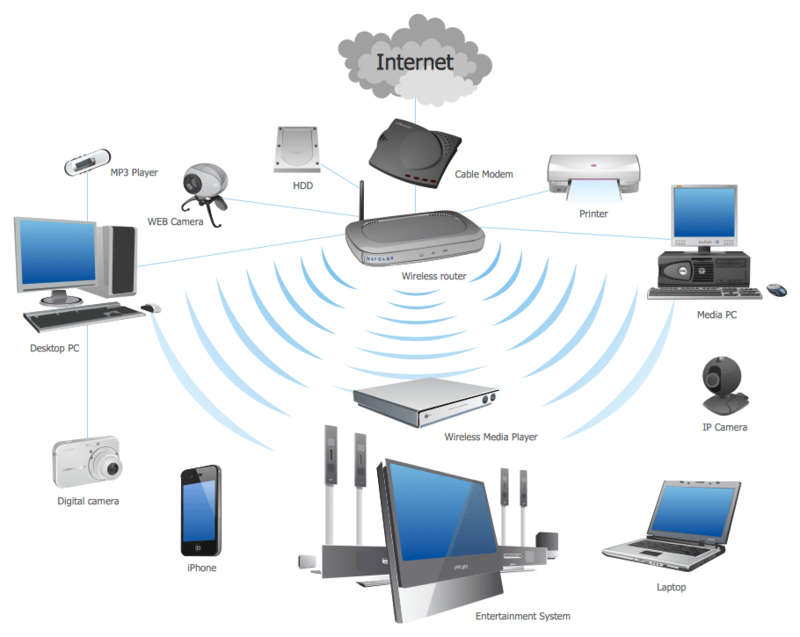 Use a WHDI kit to activate the wireless connection between the system and the monitor at 1080p resolution. Switch off the phone when it is charging. Enable the Airplane mode in the system when it is charging. Use a compatible charger that supports the mobile phone. Remove the cases and covers and place it on a cool spot. Do not operate on the mobile phone while charging. Connect the receiver to a different port. Examine if the mouse works properly. Remove the batteries from the mouse and replace it. Check the mouse with a different system. Do not place any other wireless device between the receiver and wireless keyboard. Check if the light on the receiver blinks. Connect the keyboard to a different port. If the cable is connected to a USB hub, unplug it from the hub. After a while, connect it to a USB port on the system. Take the batteries out of the slot. Replace it with a new one. Verify if the keyboard works properly. Keep all metal objects away from the device; as it may hamper the wireless signals. Check if the driver is outdated. Install and update the driver. After updating it, try to work with the wireless keyboard. In case of any issue, call our technical support team. Uninstall the existing driver from the list of installed drivers. Select the device and click Uninstall to start the software removal process. Restart the system and reinstall the driver manually. Download the setup file and install it based on the instructions mentioned on the screen. After installing, navigate to the webcam software and locate the executable file. Right-click on the file and click Properties in the pop-up menu. Change the compatibility mode to Windows 7. Select Apply-> OK to make the necessary changes in the software. Deactivate the webcam for a while and reactivate it again. Reset the system. Click the Start option in your system. Select the Power button. Press and hold the Power and Shift keys simultaneously and select Restart. Hold the Shift key when the system is restarting. Click Troubleshoot-> Reset this PC-> Keep my files. Wait till the system reset process completes. Check if the compatible driver for the printer and the operating system is installed. An outdated driver may be a reason for the issue. Check for updates periodically. An updated driver may solve the issue as it contains all latest features of the printer. A loose connection between the printer and system may be a reason for the printer not printing. Unplug the USB cable from the system and the printer. Reconnect it firmly as it solves the printer related issues. Check if the printer’s name is listed in the list of available devices. Uninstall and reinstall the driver to solve the printer issue. If there is no sufficient power supply from the wall socket, an issue occurs. Plug-in the power cable to the system and the printer. If the printer is in the offline mode,; an issue occurs. Remove the Use printer offline mode to solve the printing issue. Defects in the power cable and USB cable may be one of the reasons. Replace them to fix the issue.